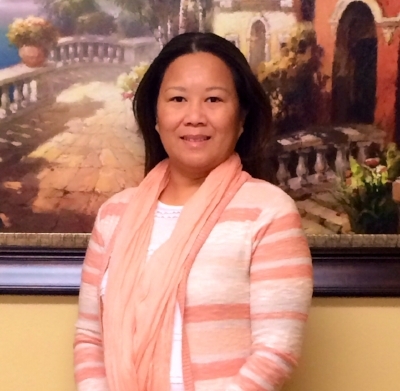 Mrs. Khamdeng McClain was born in Laos where she came from a Pentecostal background. In 1980, she moved to Guyman, Oklahoma before moving to Iowa where she met her longtime sweetheart, future husband, now Bishop Orlando McClain. The two of them have been together over 31 years. They now have three adult children Maurice, Dominique, and Tiffany. They have also been blessed with three grandchildren Marjorie, Kamron, and Christopher. In 2001, when Bishop McClain responded to the call to ministry, Mrs. McClain was right by his side at full support. Her passion for helping people is felt by many. She has developed many ministries and departments before delegating it to other members. She is a teacher by nature as well as a perfect example of a virtuous women. Her accolades and humility allow her to be a perfect director for the women, young and old at House of Refuge. She has contributed much in the development of House of Refuge and it's ministry. Our community has been blessed with her passion to help feed the hungry naturally and spiritually. Copyright. All rights reserved. "House of Refuge" and the "House of Refuge" logo and content is the intellectual property of the rightful owners. Logos, content, or images may not be reproduced or publically displayed without the prior permission and acknowledgement of an official House of Refuge administrator. Thank you.